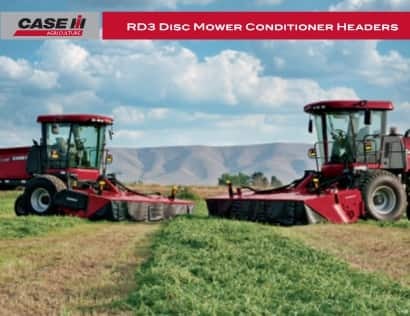 2 Models, 16.1 - 19.3 ft Cutting Widths: Case IH RD series rotary disc headers offer quality cutting at uncompromising speed in tough crop conditions with minimum maintenance. 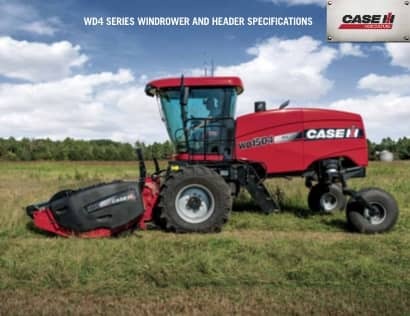 The RD163 is compatible with the WD1903 and WD2303 and has a cutting width — 16 ft 1 in (4.9 m). Its Hi-Contact rolls are perfect for legume-type crops in low-humidity climates. 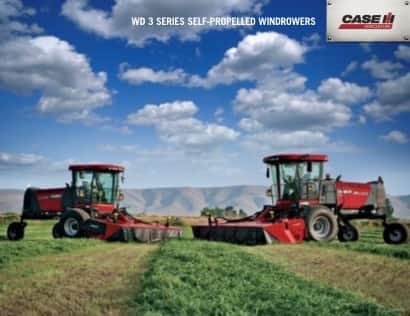 Perfect for large-scale commercial growers delivering unbeatable speed with an industry-leading cutting width of 19.3 ft (5.9 m).